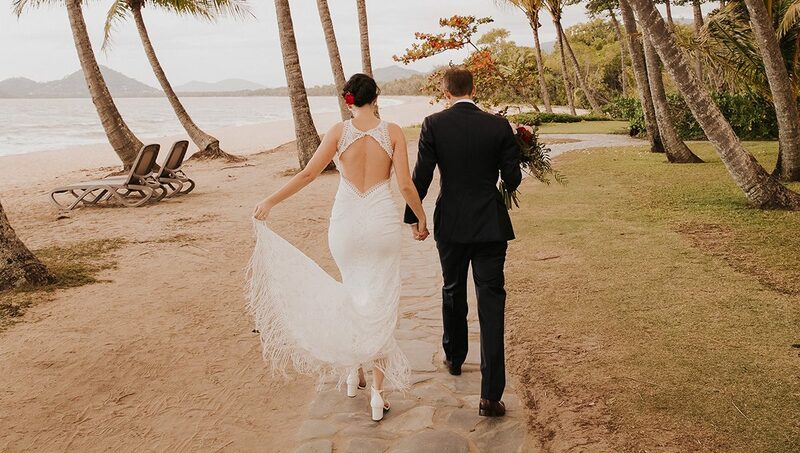 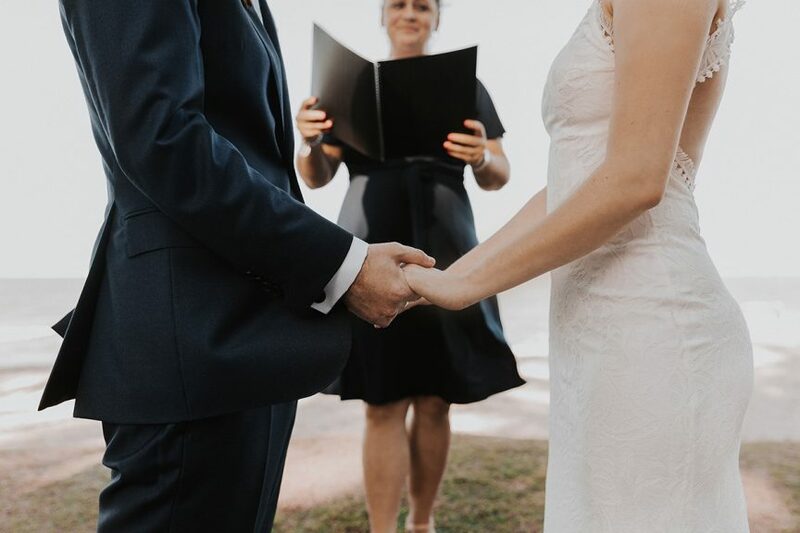 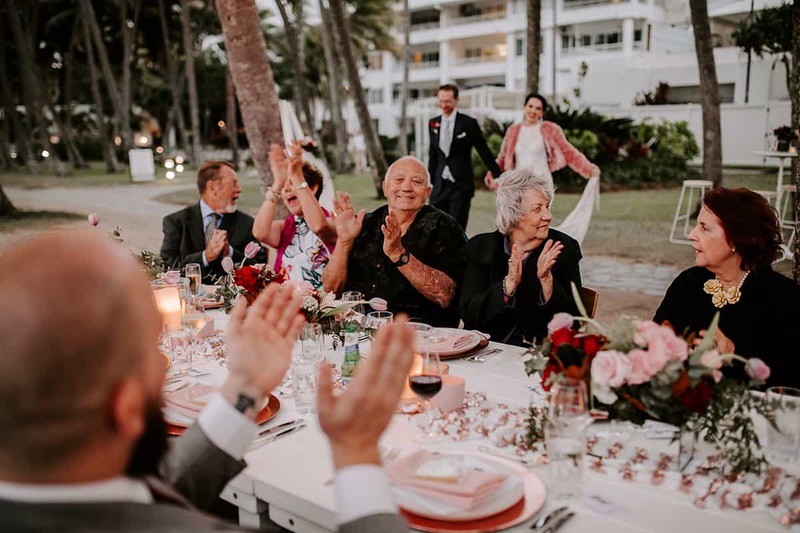 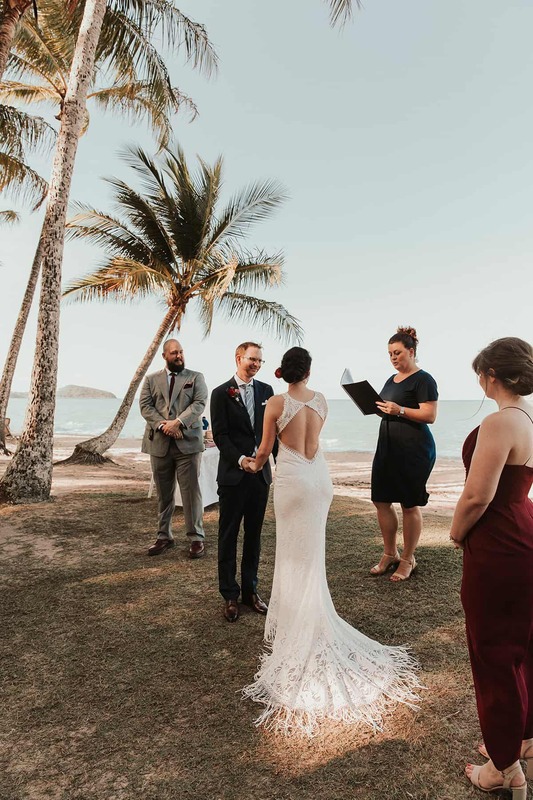 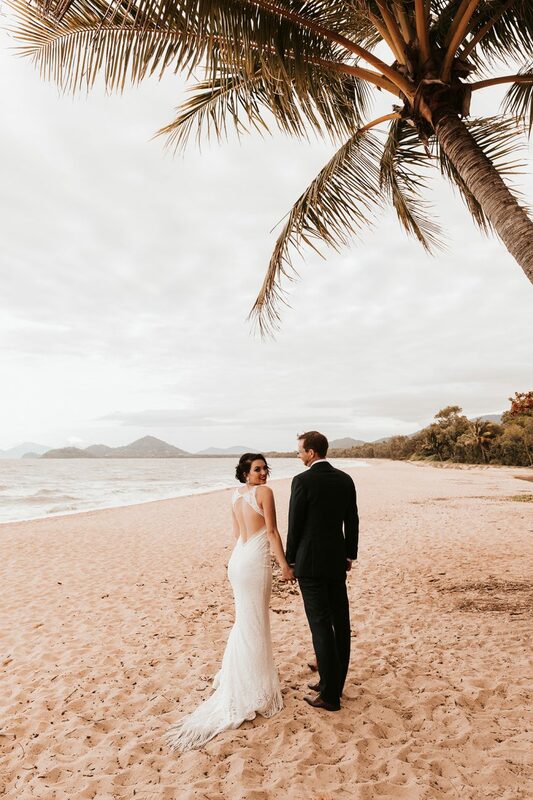 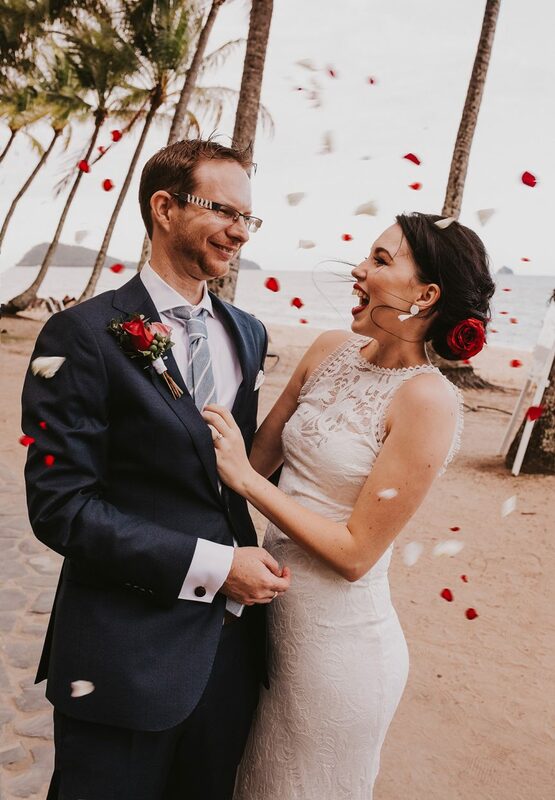 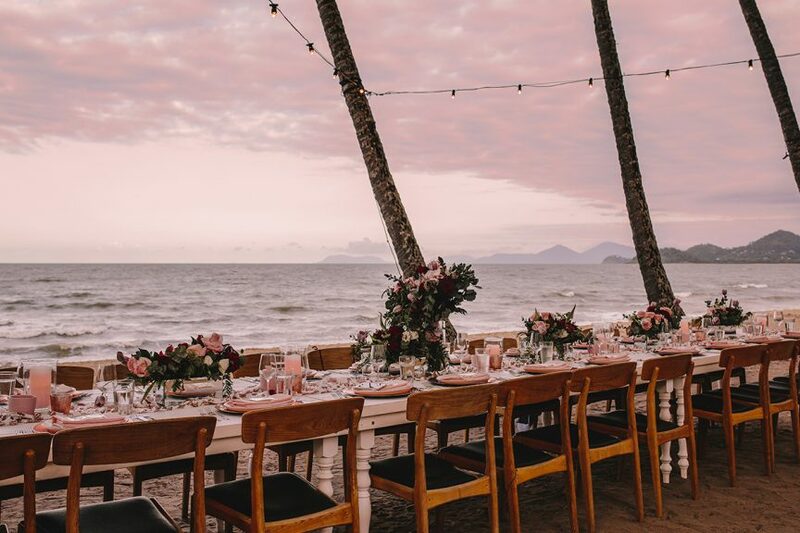 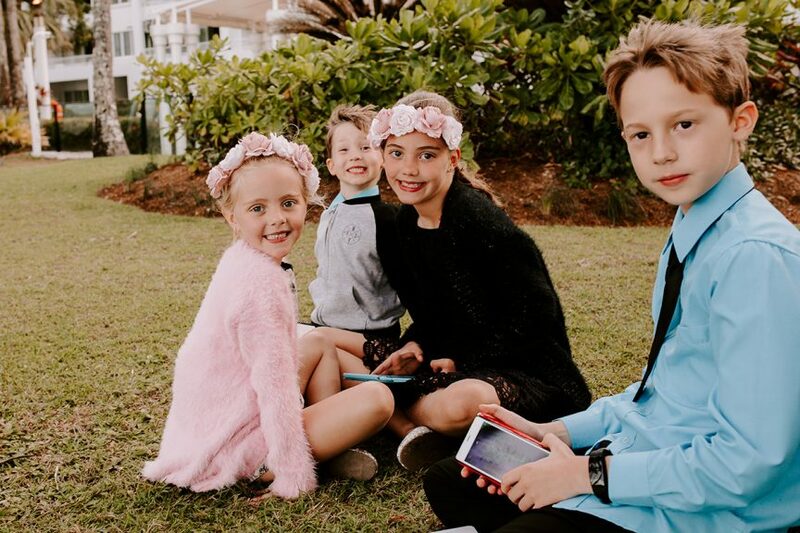 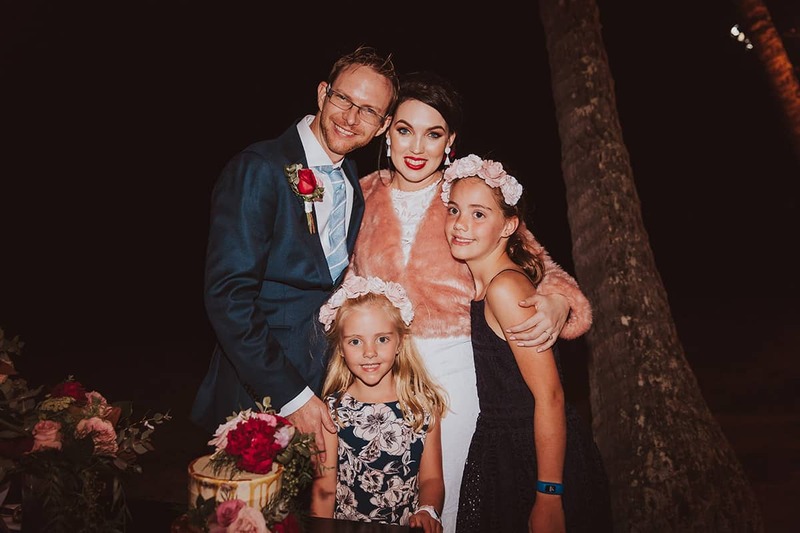 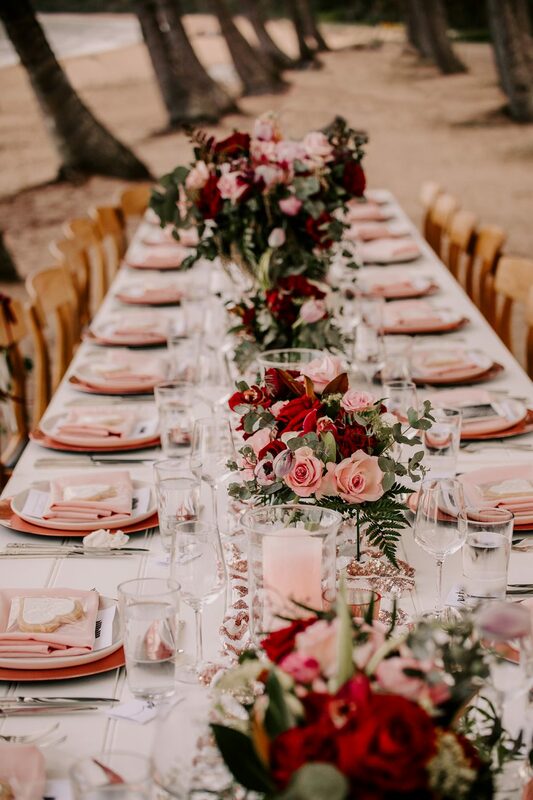 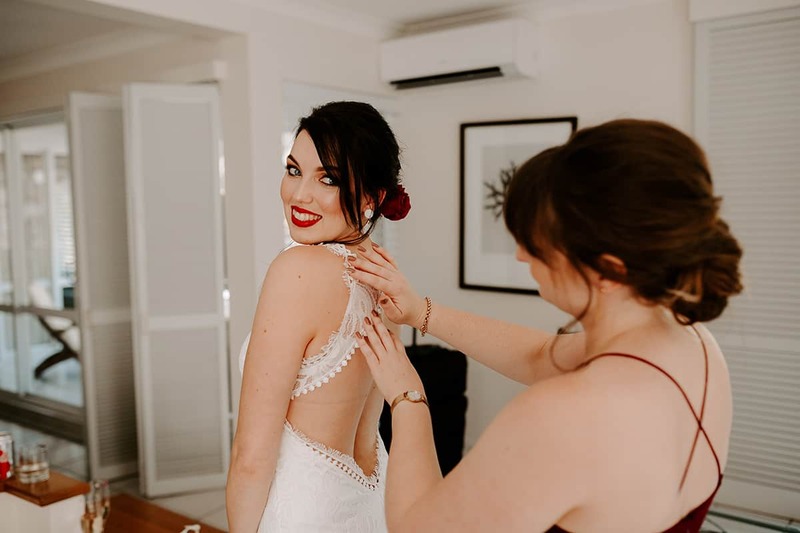 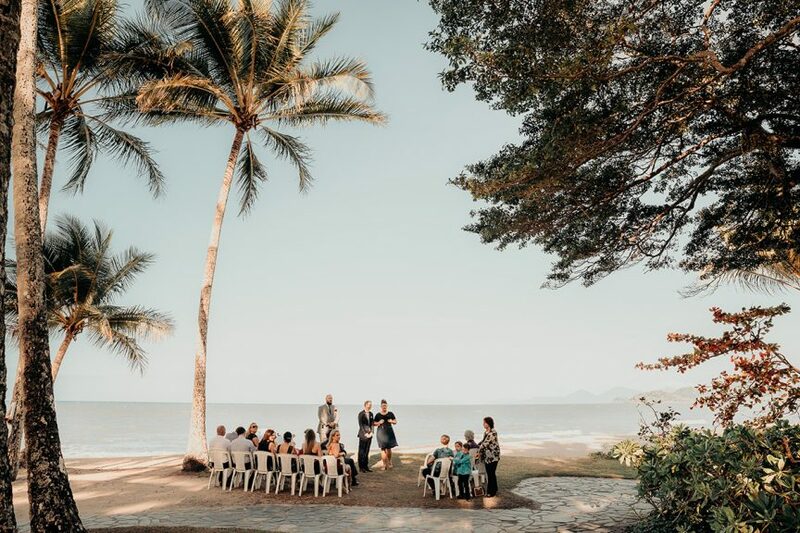 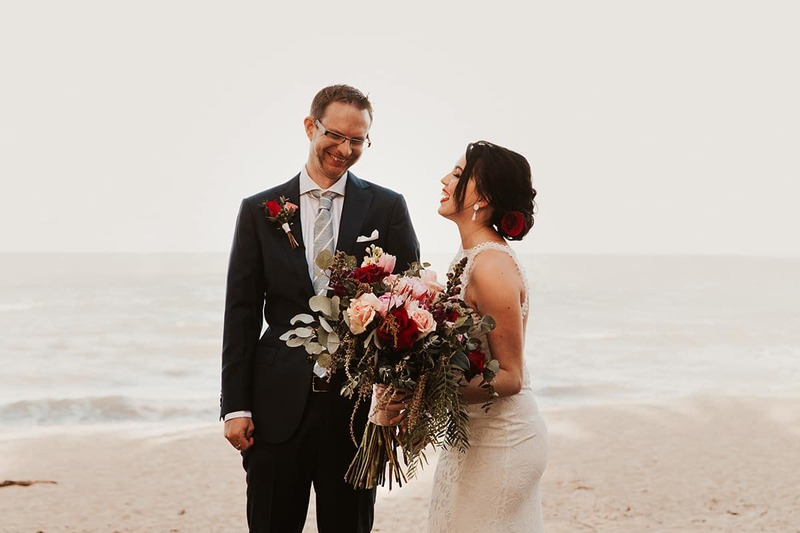 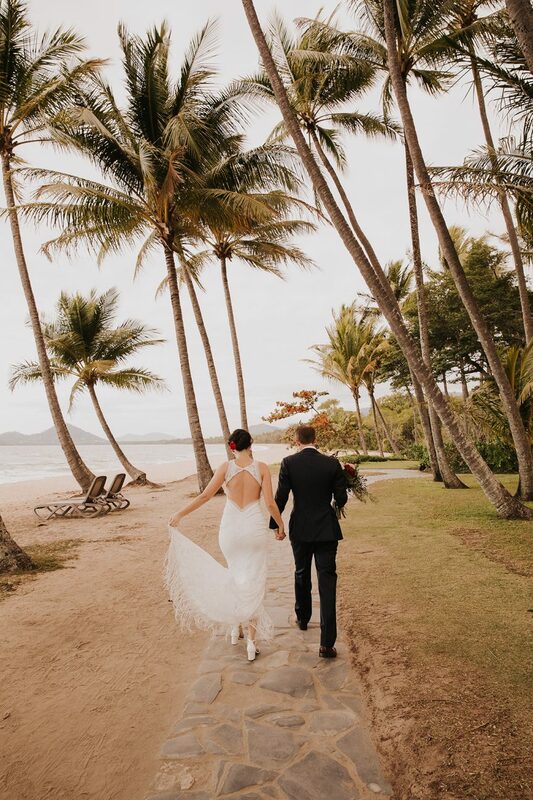 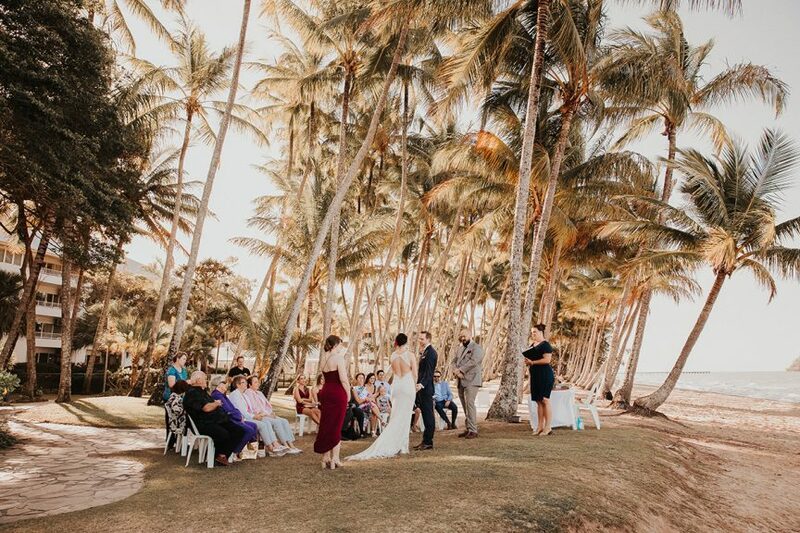 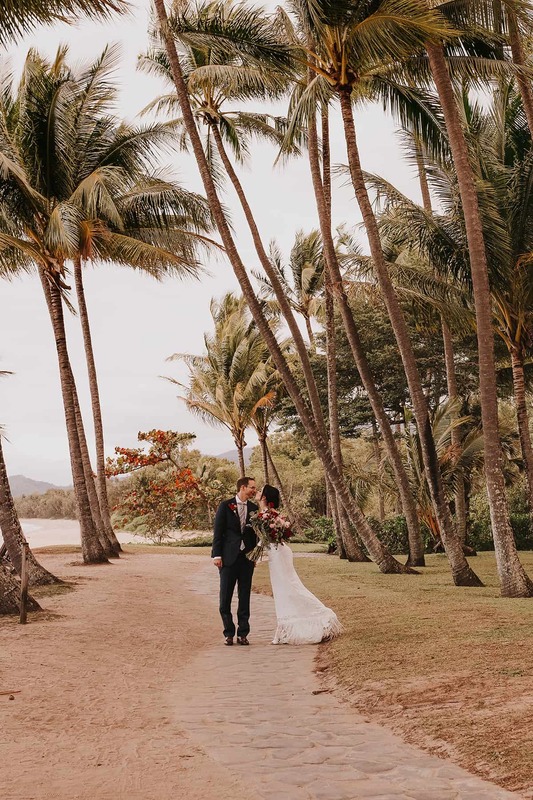 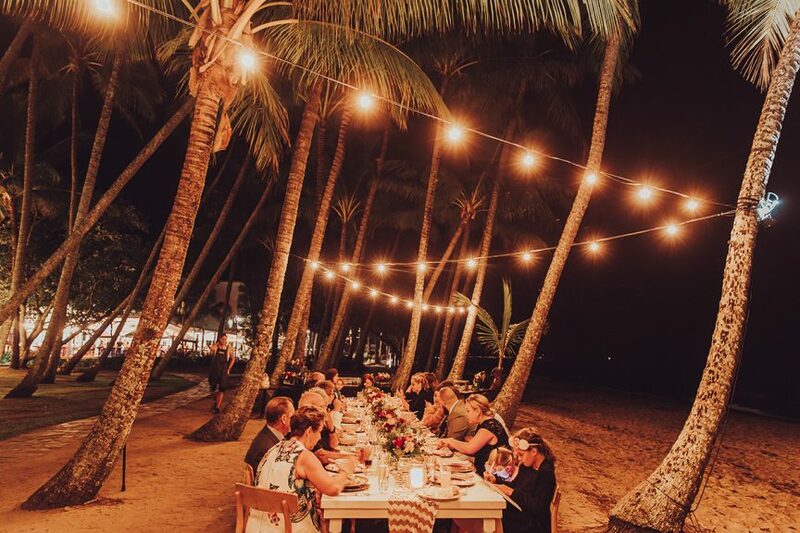 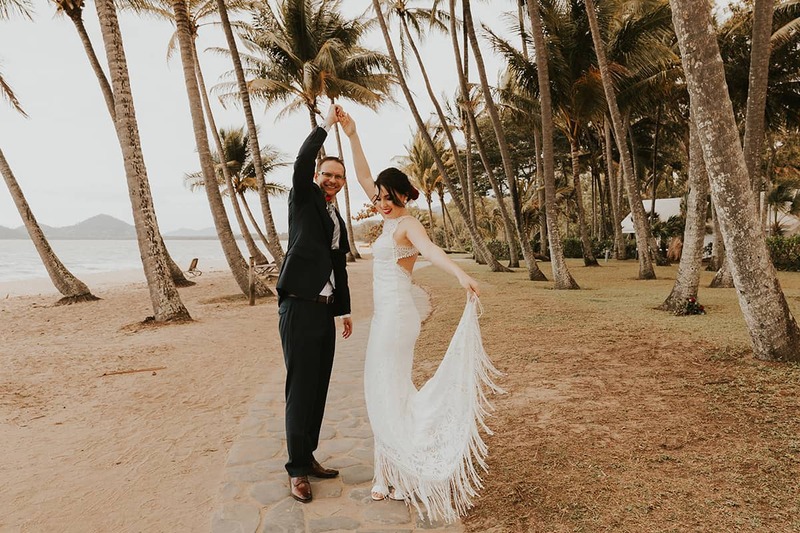 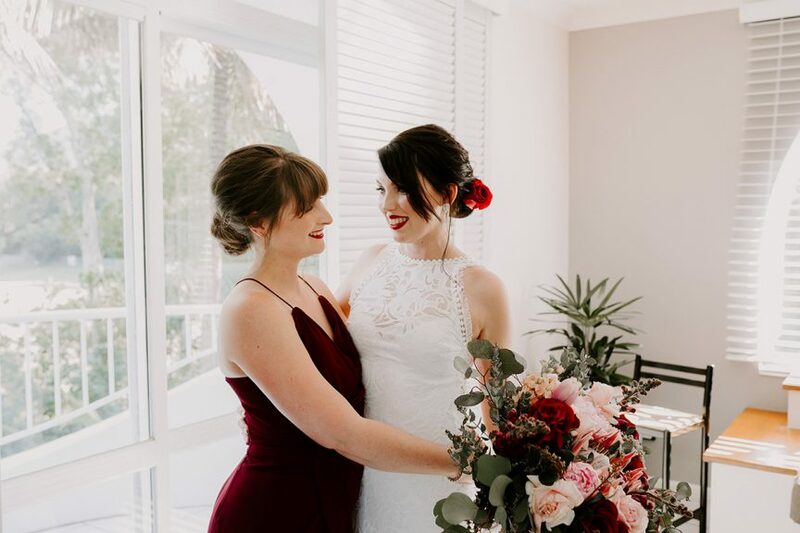 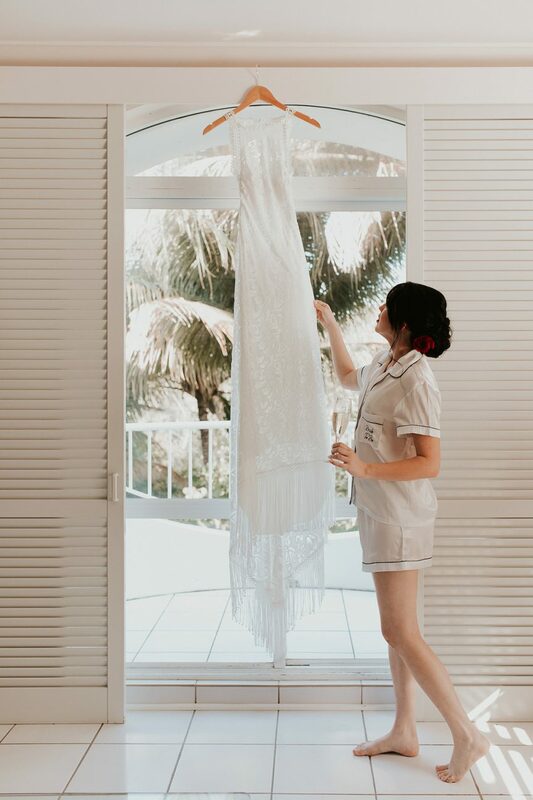 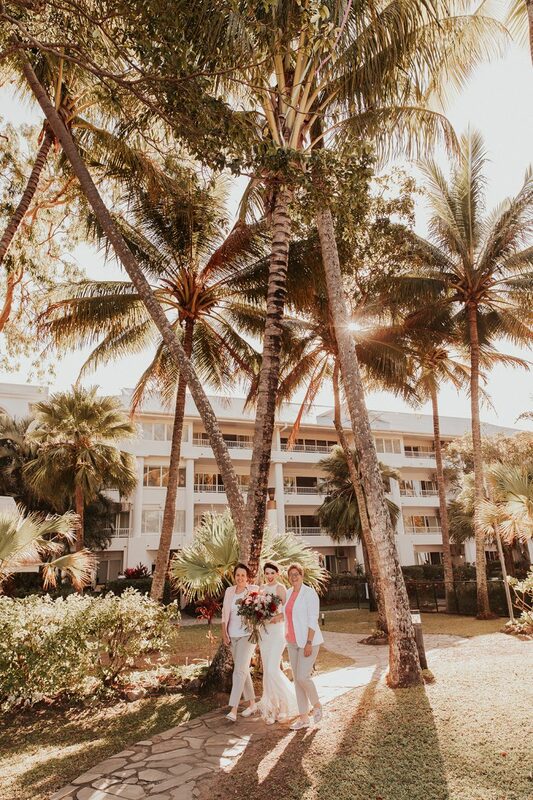 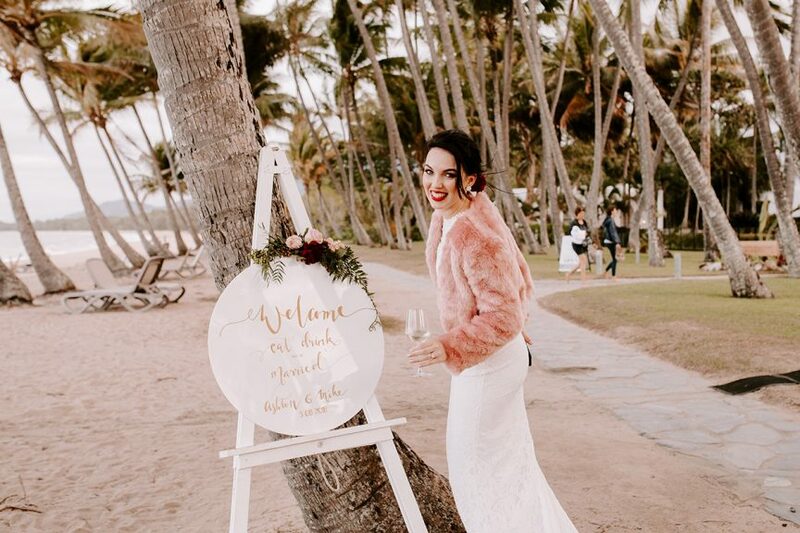 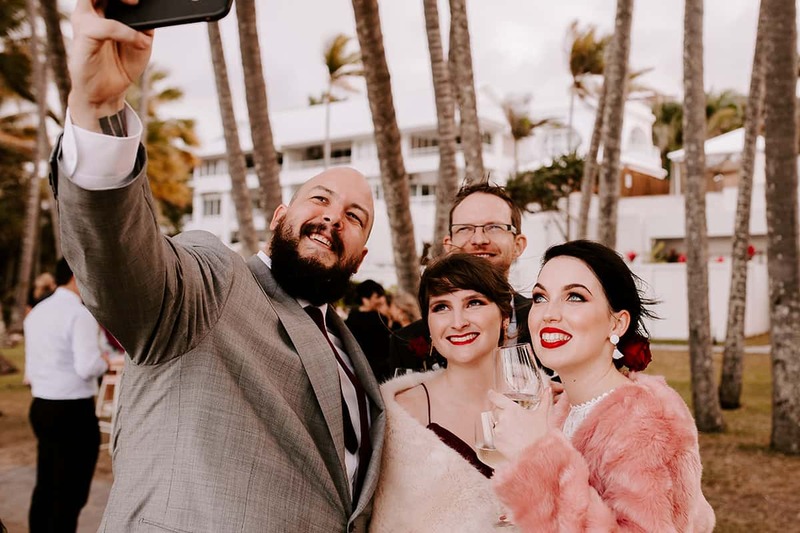 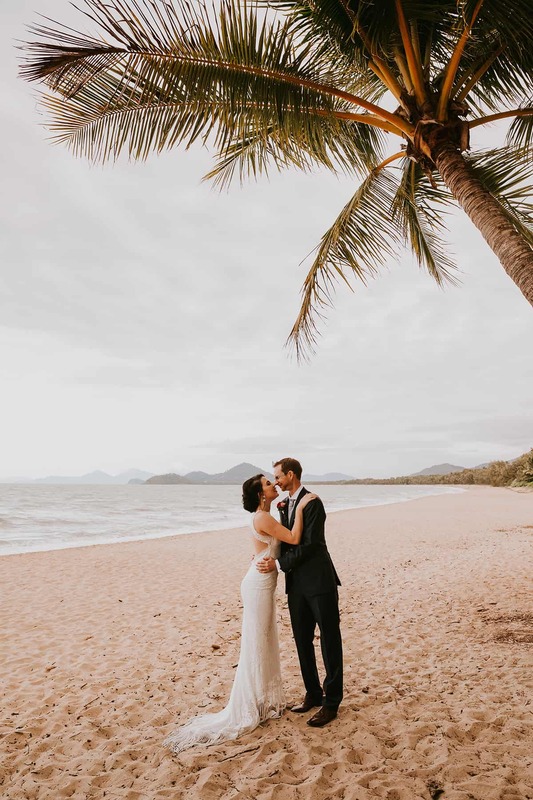 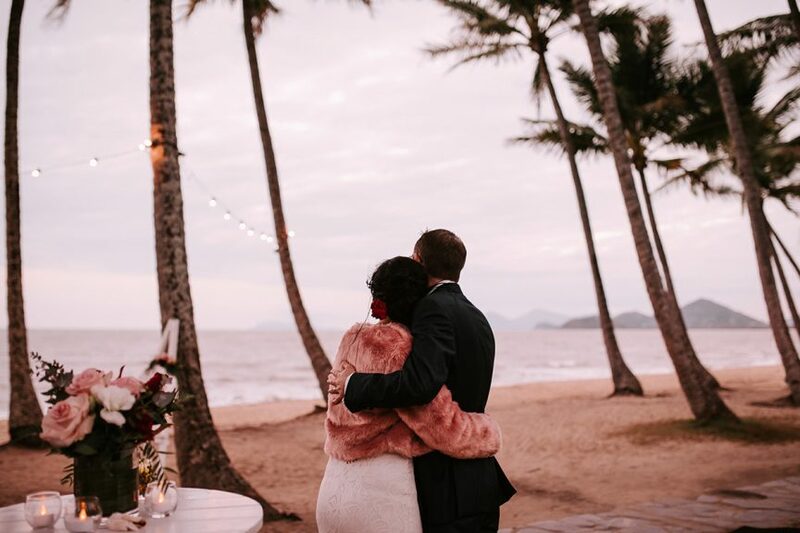 A scenic beach setting, a rose-and-burgundy colour palette, plenty of beautiful blooms and a long table under swaying palms – this gorgeous Palm Cove wedding was oh-so lovely. 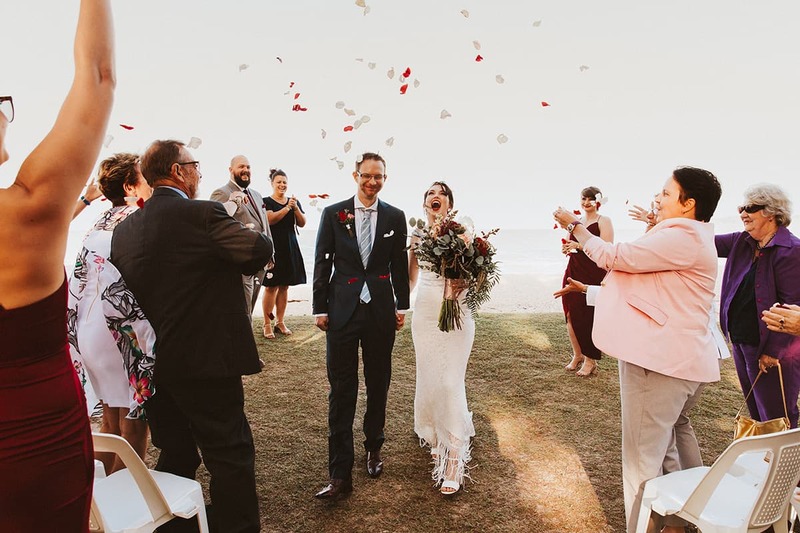 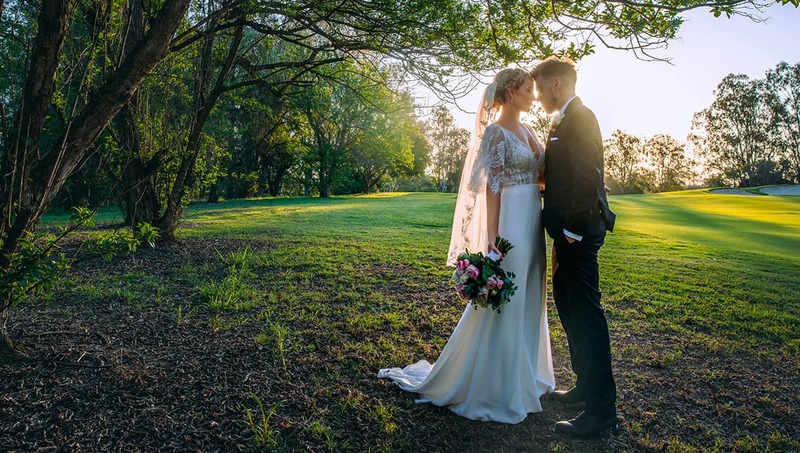 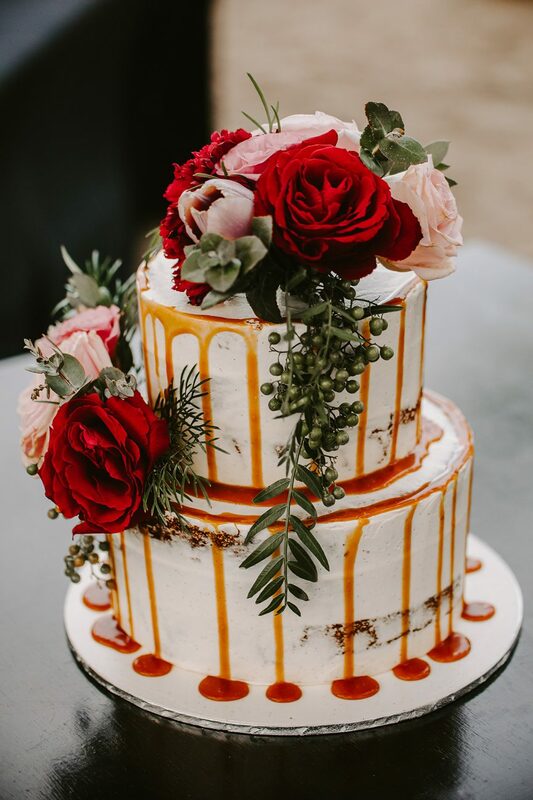 Opting for a relaxed and fun vibe, Ashton and Mike celebrated their special day by the water, spoiling loved ones with good wine and a delicious feast under the stars. 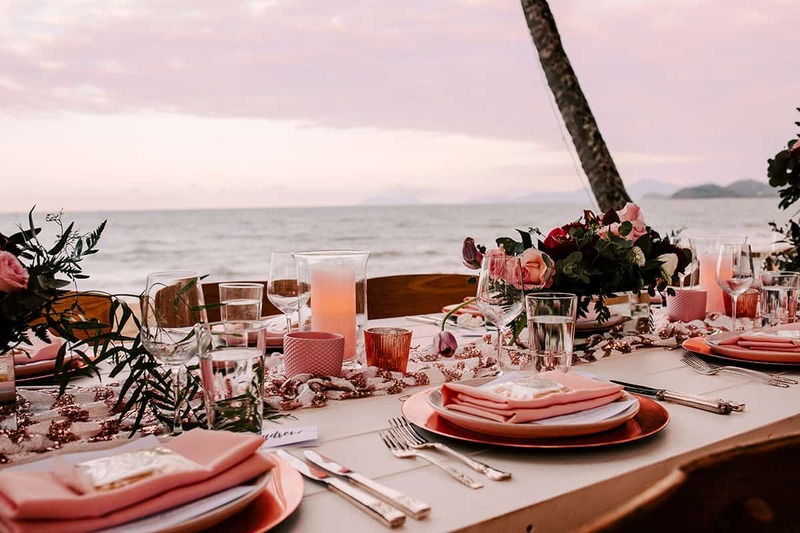 Three words – instant party vibes! 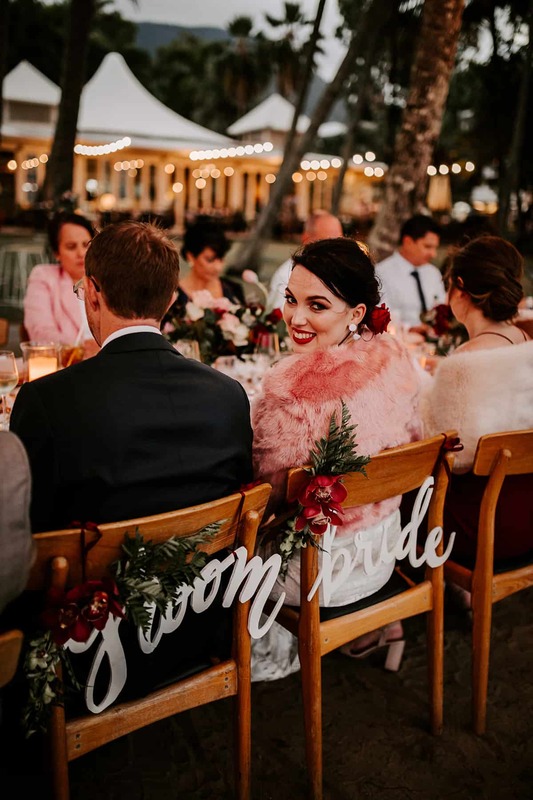 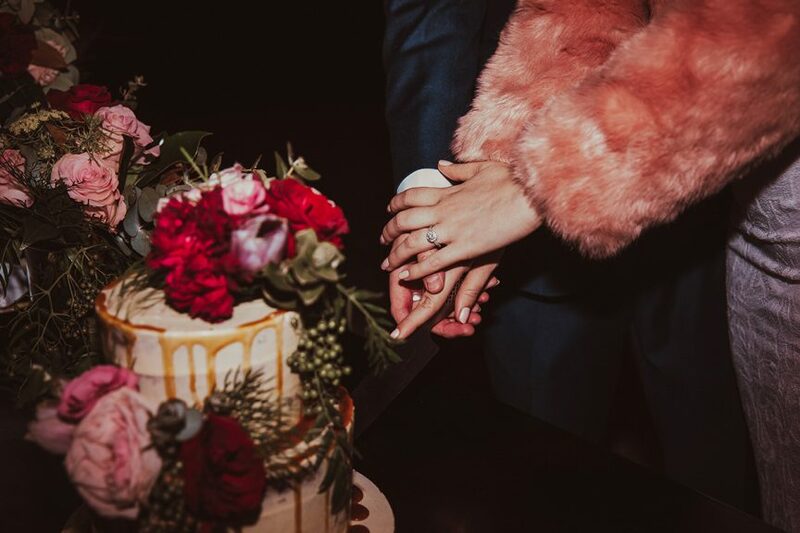 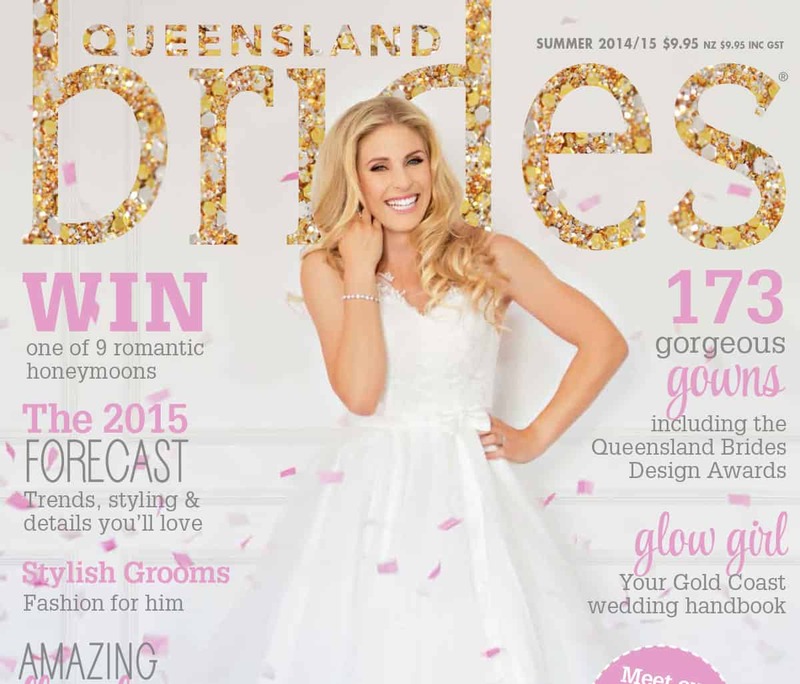 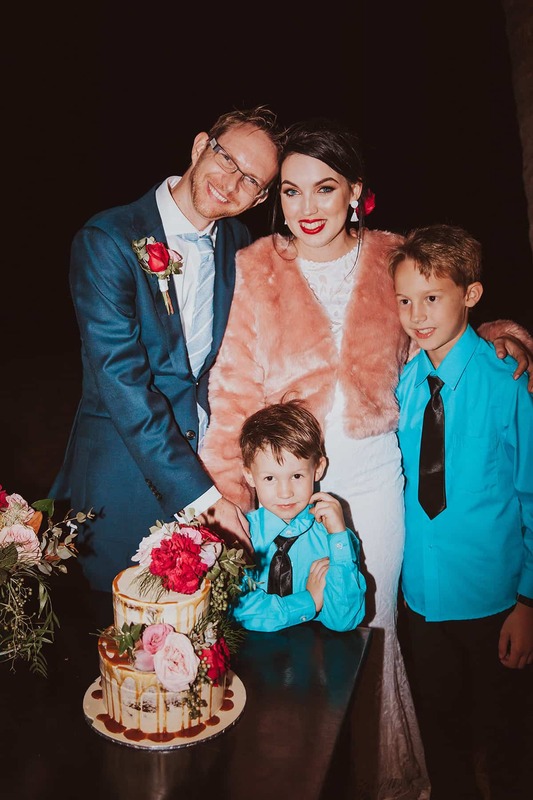 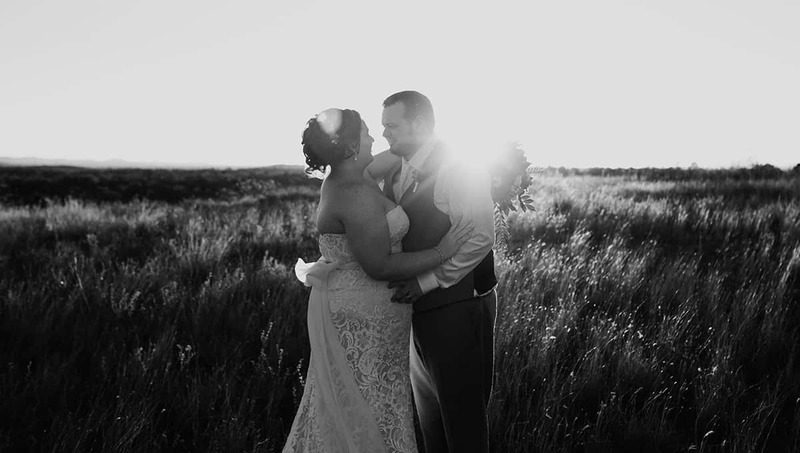 We’re loving the bride’s classic red lip, the amazing styling and that cotton candy sunset.